Wellington, New Zealand — New Zealand’s transport minister said Monday he will pay a small fine for violating aviation rules by making a cellphone call from a plane. 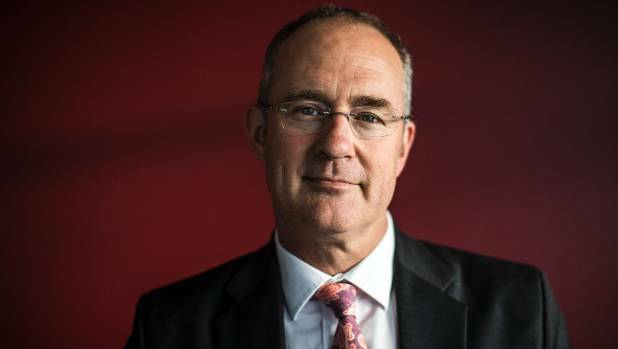 The Civil Aviation Authority fined Phil Twyford 500 New Zealand dollars ($340) for breaching rules it says were intended to prevent electromagnetic interference with aircraft instruments. The authority said that because Twyford ended his call before takeoff, it didn’t pose a significant risk to the safety of the flight. Twyford had earlier stepped down from his role overseeing aviation safety after making the call to a staffer in May. Acting Prime Minister Winston Peters said the breach was a low-level offense and that Twyford was contrite and would be reinstated to his aviation oversight role now the investigation was complete. Twyford said Monday he can’t recall the exact chronology of the call, but that his phone records and airline records indicated he’d been on the phone for about three minutes while the plane was taxiing but before takeoff. Cellphone calls are banned after the doors are closed in preparation for takeoff. While some rules around mobile devices have been relaxed in recent years, passengers are still banned from making cellphone calls or sending text messages during flight. He said he wanted to reiterate his earlier “unreserved apology” for his mistake. The breach was brought to light by an opposition lawmaker. Transport Minister Phil Twyford (file photo). New and additional sources of funding are needed to help fix Auckland’s traffic congestion and growing pains, Transport Minister Phil Twyford says. But Twyford believes it is not fair for the rest of New Zealand to pay for its biggest city’s woes. Rail and coastal shipping will be a focus for both Auckland and elsewhere, he said. The newly named minister made the comments in his first address at the Road Transport Forum’s annual conference in Hamilton on Saturday. “If we had a decent passenger rail from Auckland to Hamilton paid for out of the Land Transport Fund, then I could have been here much earlier,” he joked, referring to what RTF Chief Executive Ken Shirley had said to him after arriving late to the conference, having got stuck in traffic. During the conference at Claudelands Event Centre, Twyford outlined the government’s direction on the future of transport throughout the country. Creating a “resilient and multi-modal transport system, reducing carbon emissions and fixing Auckland’s congestion” were the priorities. Transport in New Zealand needs to be resilient in the face of shocks, such as the recent earthquakes that shut down the major north-south highway in the South Island. To do this, changes to funding is required. Roading is currently funded through the Land Transport Fund, from road user charges, petrol tax and vehicle registration, which generate $4 billion a year. Decades of under-investment and congestion in Auckland is costing the city $1.3b a year in lost productivity, he said. Aucklanders want it fixed, but Twyford said it will come at a cost. The Government is committed to a $15 million, 10-year programme that includes a rapid transport system in Auckland, which will join up with the road and highway system. “We believe rapid transport should be funded in the same way as state highways and there are benefits for at least part-funding the rapid transport through the Land Transport Fund. If asked, the Government will pass legislation to allow Auckland Council to levy a regional fuel tax, he said. “We’ve talked about 10 cents a litre and that would generate about $150 million a year, about 10 per cent of the investment that is needed for the Auckland Transport Plan. Income from targetted rates on what will be “massive increases” in the value of the land around the light rail network in Auckland could be reinvested in the rapid transport system, he said. “The Government is going to continue to fund rail above and beyond the national transport fund, but what we want is to generate new and additional sources of revenue. Previous governments had disproportionately invested the fund into motorway projects, leaving regional roads starved of funds, he said. Another priority would be reducing carbon emissions from the transport industry, which make up 18 per cent of the country’s greenhouse gas emissions, he said. Exploring coastal shipping is one way of doing this, he said. He also addressed one of the biggest concerns from the industry – the shortage of top-class drivers. Attendees said the driver-licensing system had become complicated and expensive. Twyford said the government wanted to weave driver licensing into the school curriculum. He said stemming migrant numbers would not affect those in the transport industry. “You’ll know the intention to change the immigration settings, as we believe the open door policy of immigration had quadrupled net migration. There are genuine skill shortages and regional skill lists will mean a particular regions can attract people in to live and work in that region, he said.